A better rack design! A 45° bend in the pipe gives you plenty of options: rack toms can be closer together and accessory mounting is made more flexible. Front bar has over 40" of mounting area. 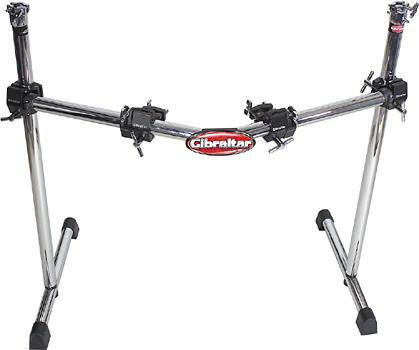 Includes 2 standard fixed T-legs, 2 rack boom arm mounts, 2 multiclamps, 2 memory locks, and 2 hinged memory locks with key lock adjustment.